Last evening, the entire camp enjoyed the “Summer Echoes” campfire in the Senior Village. It was a beautiful setting with gorgeous lights hanging and, of course, the pine trees. As the groups entered with music playing, the LITS (Leaders in Training) escorted each group to their spot. Head counselors and staff each gave thoughtful presentations about the summer and the amazing memories that have been created. After the staff presentations, each group took a turn sharing 1 wish for next year’s group and 1 memory. 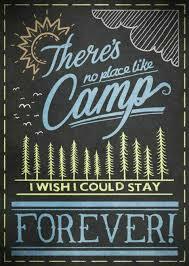 Camp songs were also sung with our arms around each other. It was a special evening to reflect upon how much growth was made this summer and how much fun. In the past almost 7 weeks, campers have made new friends, tried new activities and experiences, exited their comfort zone, laughed, danced, and have made memories that will keep their hearts warm during the long winter months. The “Summer Echoes” campfire was a magical evening filled with Warm Inner Glows!